With the advances in technology, more and more people are enjoying the opportunity of working from their homes. Working from home offers a number of advantages, but maintaining productivity may be difficult if there are children to look after or other family factors that can intrude. There is an often overlooked way to improve productivity, though. That’s where the paint color is discussed. There is substantial research that shows how color affects productivity. For example, intense whites seem to remind people of sterile institutional spaces, such as hospital waiting rooms. That is going to affect productivity in a negative way. Shades of gray can cause passivity. A bedroom repurposed as an office may retain the darker colors that helped the onset of sleep. That’s not going to help productivity, either. Green is the easiest color on the eyes. Lighter greens improve productivity, but darker greens can depress people. The shade of colors chosen is important, as is the intensity of a color. 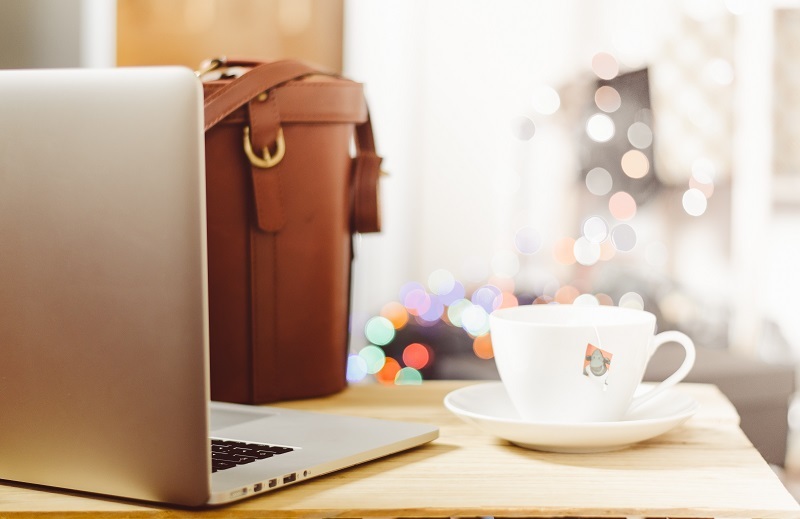 Lighter shades tend to be more positive in their effect on working from home. Overall, shades of blue seem to have the most positive impact on creativity. Lighter blues are soothing, and stronger blues seem to promote clarity of thought. The ability of a color to affect production varies somewhat with the kind of work. For example, yellow affects creativity in a positive way, but what works for designers might not work or people preparing income tax forms. Reds can affect mood and increase energy levels, but can also make people feel anxiety. Home office space is often a repurposed room that retains its original color scheme. Repainting may make it feel more like a work area. The whole room does not need to be redone. Accent walls may help. The impact of colors will vary with the lighting in and around the work area. There is no one color that is going to most improve productivity. Consulting painting professionals can help you increase your productivity while working from home. Contact the experts today from Noel Painting for a Free Consultation on how to paint your home office!